Anyone wishing to transfer entitlements before January 2015 needs to act promptly. 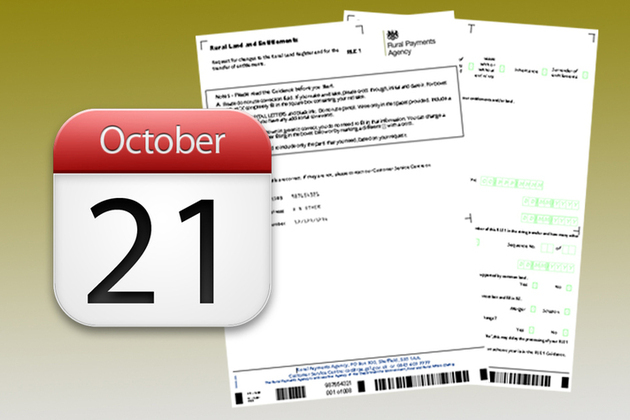 At midnight on October 21 the window for transferring SPS entitlements will close for a period lasting into the New Year; anyone wishing to transfer what will have become Basic Payment Scheme (BPS) entitlements can still do so in time for BPS 2015 claims, but will have to register for the new online CAP Information Service in order to do so. Anyone who would prefer to transfer their entitlements without registering for the new CAP Information Service needs to complete and submit an RLE1 form so the Rural Payments Agency (RPA) receives it by midnight on October 21. 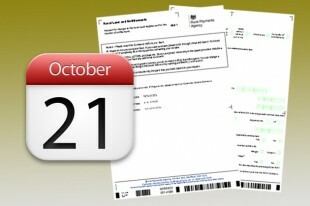 The effective date of the transfer entered on the RLE1 form must be no later than December 3 and must allow for at least six weeks’ advance notification. The RLE1 form and entitlement transfer guidance can be found on GOV.UK. Under the new Basic Payment Scheme, customers with fewer than five hectares of entitlements and/or eligible land will not be eligible to claim in 2015. If they do not transfer their entitlements by the October 21 deadline, they will still be able to when the transfer window opens again in early 2015, but they will need to register to use the CAP Information Service. During the entitlements transfer hiatus between October 22 and early 2015, the RPA will be converting current SPS entitlements into BPS entitlements. This will happen automatically and customers will not need to take any actions to ensure their entitlements are converted. When the entitlements transfer window opens again in early 2015, anyone wishing to transfer entitlements will need to register to use the new CAP Information Service. Registration Packs for this will be sent out to customers over the coming weeks and months as part of the gradual introduction of the service to all customers. So my SPS entitlements will be automatically transferred to BPS unless I wish to transfer them to different fields or people to claim.